In our Radeon 7500 review we did back in January, we mentioned that we would also be taking a look at the Radeon 8500 and 8500DV in the upcoming weeks. Albeit a little late, we now take a look at the Radeon 8500 with the 8500DV to be posted on or around May 3rd (so look for that:)…). 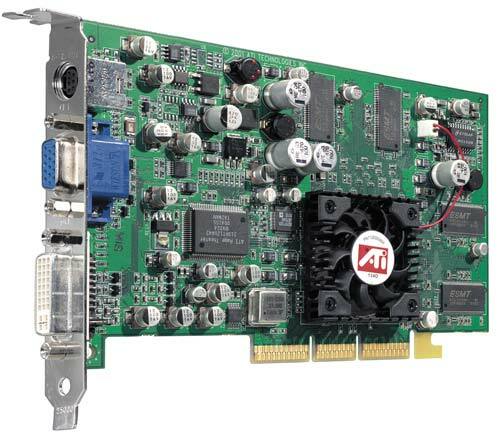 ATI has been known for making their cards feature-packed, even on their lower end flavors...The Radeon 8500 is no exception as it includes DVI support, multi-monitor support, as well as the various technologies (such as TRUFORM, Hyper Z II, Smoothvision, Smartshaders, etc) that the Radeon provides. 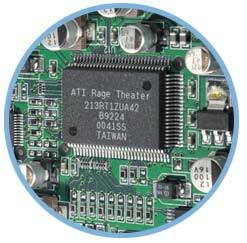 ATI also includes some software bundles in their package, but more about that later on in the review. I have decided not to cover the various technologies that I just mentioned, but if you would be interested in us writing an in-depth article on them post a message in the discussion for this review and let us know. Depending on how many of you would be interested in that, we will consider doing so. As I have said with previous video card reviews, I really like the fact that DVI and multi-monitor support is included, and while ATI had adopted it earlier on then NVIDIA, the GeForce4 series now brings multi-monitor support as well. The Radeon 8500 is clocked at 275/275 (core/memory). 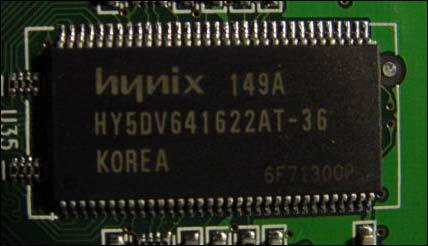 The memory is 3.6ns made by hynix. Note: I used the images provided to the press by ATI because of their high quality. You will notice that these cards have ESMT 4ns memory yet my card has Hynix 3.6ns memory. I contacted ATI to find out what the card actually ships with, and they confirmed that it does in fact come up the Hynix 3.6ns memory. I have added a shot of my actual card below the press shots just clarification. With Quake3 Arena set at the Fastest setting we se see that 1024x768 there isn't much difference between all of the cards, yet the Radeon 8500 surpassed all the cards in terms of speed, even the GF4 Ti4600. Even with a higher resolution the Radeon 8500 really stays up there with the pack performing less then 4% below the Ti4600 and less then 2% behind the Ti4400, a difference you most likely would not notice. We crank up the settings a notch and move to normal, again, the Radeon 8500 surpasses all of the cards at a 1024x768 resolution. At 1600x1200 we start to see another story as the 8500 falls back, even behind the Ti500. It performs a little less then 6% below the Ti500, 15.5% behind the Ti4400, and about 20% behind the Ti4600, a big drop from the fastest settings. Lets see how things turn out when we crank up the settings to high quality. This time around the Radeon 8500 is not the top card, but only half a frame away from being the top. When we changed the settings from fastest to normal we saw quite a drop back in performance, does the same thing happen here? Yup, it does, but not quite as much. The card runs a little more then 8% slower then the Ti500, about 20% slower then the Ti4400, and about 25% slower then the Ti4600. It is important to keep in mind that both the Ti4400 and the Ti4600 are 128MB video cards, while the Radeon is only 64MB. The GeForce3 Ti500 is also 64MB so as I said before, that is more of its competition.